Due to change in company policy I will no longer be able to tweet from results meetings like Nintendo as before. Disappointing. Very sorry. So that means we'll have to relay on someone else for the meetings (actually, there shouldn't be on on the 31st). Final Fantasy and Dragon Quest had sales boosts when the franchises went 3D. Errr, I am not saying pokemon is dying. Just that franchise fatigue may be showing. Yeah, but those games were on the PS1 and that there were some crazy things happening back then lol. Also, those games still didn't sell as well as Pokemon already does and i don't see the Pokemon audience growing just because of 3D. The 3D argument doesn't really work anyway since DP was technically the first 3D Pokemon. Yeah, I do think the amount of content, just from an outward perspective (the number of Pokemon, the lack of a post-game) factored into limited life. i think the shortening time between pokemon gens is having an effect in the sales. DP had like 2 years to sell until Platinum was out and there were no remakes in that timespan to take sales away. ORAS coming out by the end of the year might make people buy that and skip XY since the new pokemon show up there and also they might be waiting for the inevitable Z version if they really want to see XY's world. Yearly releases are a factor, but a big point is also that the DS was just a monster when the system is selling + 100K consoles every week of course general software sales will be higher as well. Pokemon B/W launched also an ridiculous hardware install base, which wont be happening again anytime soon. When looking at games that sell this much, I agree that installed base starts to become a notable factor. Wasn't there a comparison a couple threads back. 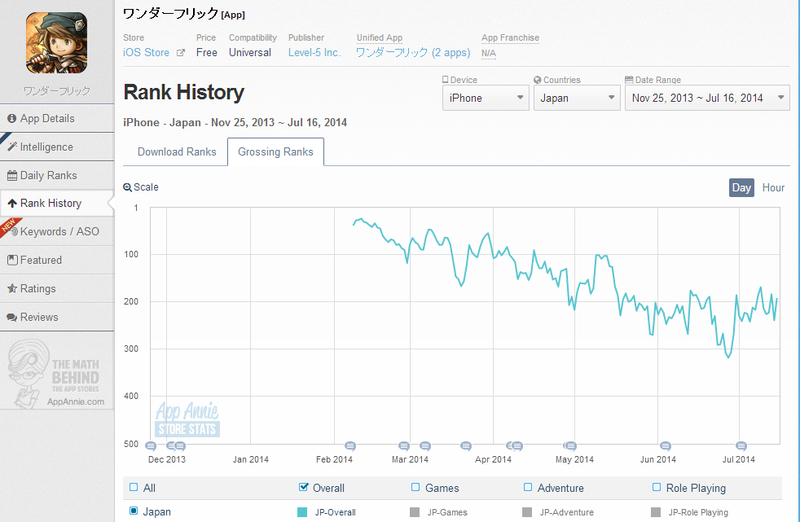 Pokemon is declining in Japan but not by a massive amount and its still a huuge franchise. So that means we'll have to relay on someone else for the meeting, on July 31. I think one good comparison might be GTA. The series went down a bit from SA -> GTA 4 on a like to like timeframe despite eventually overtaking it a few years later simply because there were no where near enough consoles to sell to relative to late gen PS2. Quality could have been a factor, but given how it did in the end, it feels more like it was limited by there being like 35 million consoles instead of 100+ million. It also hit 29 million downloads. It's a bit slower growth per million than before, but there's also a huge percentage of Japan's population that has the game. Nintendo should sell the Pokemon Company while it's still valuable. Or go third party. We all know people wants a freemium Pokemon with two currencies and paid Master Ball packs. Are 3rd gen games popular? Emerald was the last Pokemon game I bought and those had some quite cool stuff like the Secret Bases or those Beauty Contests. I have fond memories of those games, but I dunno about the rest of the world. I think Pokemon will outsell YW2, but I won't bet on it. Remember last year, when the original sold 50k? It has sold 1,2 million units in 4 days. I don't trust my own thoughts anymore when it comes to this game. The pokemon company has done good job managing the ip. They could do more with smartphones, but it has a much lower chance of being devalued then nintendos other ips. On the Wonderflick note, it does seem to be getting new life with the newest updates, but still has a ways to go. 3D *and* FMV (and lower game prices thanks to CDs) were all factors that made Namco's arcade ports (from hardware based on PS), Capcom's new RE IP and the PS in general great hits. At the time 3D was new, the graphics were amazing and the games were cheaper than the huge memory cartridge games of the late SNES period. FFVII as a game in an already huge genre and series just capitalized on these earlier PS successes in a major way. DQ on the other hand had reached sales just short of FFVII on Famicom already, with the 3rd installment and not because of graphics. DQVII did not sell on graphics either, the platform was just huge and thanks to FFVII the RPG genre had reached new heights also. DQVII turned out to be still more popular and didn't even need to match FF's graphics. 3D in itself often negatively affects franchises. When SM64 sold less than 2 million it might have been attributed to its platform and series decline in general but on Wii 3D Mario hardly boosted over Sunshine and fell short of SM64 whereas 2D Mario enjoyed sales that rivaled its roots. For FF, 3D affected looks but not so much the way it played. Both FFVII and SM64 wowed audiences with their graphics but in SM64's case it also changed gameplay. So in both cases the graphics brought in an audience (N64 being late and having lost 3rd party support it had a smaller audience to draw from, as most had already settled on a PS) but in case of 3D Mario the audience didn't stay. In the case of Pokémon XY, 3D isn't a new thing anymore, it negatively affected roster size and all the other factors that also contributed to PS era boosts are missing as well. 3DS is more comparable to PS2 and SFC than to FC and PS. The follow up gen to a huge platform often has better libraries in terms of core content but with less of the casual audience than before, the biggest franchises suffer. Pokémon is big enough to be affected by that lost audience, just less than a more casual heavy franchise like Layton was. It's undeniably a tougher sell, but I can see it having some appeal. On the basis that Pokemon is popular, it may be able to drag some people in (unless it gets labeled as a cheap rip off). It's not like many Pokemon aren't deeply rooted in Japanese lore, either, and I think enough of them are cute and/or based on animals that them being based on ghosts and ghouls might not have so much of an effect. There are several very Japanese aspects to the games, though, from food to locations and things you do which might put the wider audience off. I think it could do reasonably well in the West, though, without becoming the phenomenon that it is in Japan. Perhaps they'll start with the anime and let the series build up a fan base (or not) before releasing the game. 1.) It's on the 3DS and only on the 3DS. The Game Boy through DS were pretty much uncontested as video game systems for kids, but these days TONS of kids play on iOS and Android devices. For a new brand, that's going to be an issue with reaching the audience since there isn't a huge brand setup already. 2.) Pokemon already exists. This means they have to try notably harder to push into the market it occupies. 3.) I don't think Level 5 has the clout nor will sign the partnerships necessary to reach the merchandizing and transmedia strength to push a brand like this in the West. Rovio made Angry Birds huge with aggressive partnerships with companies like Hasbro and chasing any platform the audience could be on. 4.) I do agree that it's harder to push ghosts and ghouls than creatures that look like animals (especially when considering the first generation of Pokemon), but I think this is the smallest of the four issues. 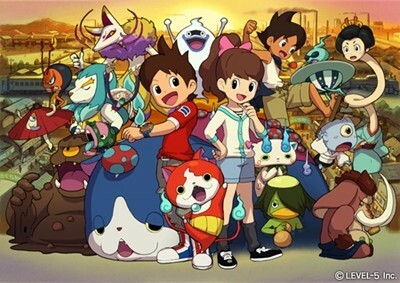 So according to Media Create, Youkai Watch 2 sold 1 300 000 units (more or less the same as Famitsu). Apparently, the 4 player "Youkai Watch Busters" mode attracted lots of attention from players. Youkai Watch manga volume 1~3 has more than 1.5 million in circulation and is apparently the most popular manga series in Corocoro. I agree with this. Nintendo and The Pokemon Company should stop the yearly release of Pokemon if they want to maximize the potential income for each games. Though in XY case, I can see that it wouldn't go higher. Could we said that ORAS be the last Pokemon on 3DS? Will Nintendo and The Pokemon Compnay release the third version of XY/XY2 on 3DS successor? I am not really sure if Level 5 got the right partner for the series in the US I know they signed someone already but if the show is not on Nick or Cartoon Network I am not sure if it can get the kind of attention it would need. All the points above are huge hurdles for any children fads today. going to have to read this I am interested in the lore this series has going for it. Unfortunately for Level 5, toys to life is also very expensive. It takes about $100 million in action figure production and related costs to do a major launch. You don't want to go down that road unless you're very well capitalized or can shove all the costs on Hasbro like Rovio did, but usually you need to get big first to do that. they could look for a Nintendo partnership for 3DS Yokai Watch amiibos for next year. You know I never thought about the upfront cost of this, and why did Nintendo took this risk? They never said who they partnered with. Still it has good returns for Disney so far. Rovio seems like the kind of company that has the money but if you have Hasbro behind you why not let them pay. There's absolutely no way Pokémon Omega Ruby / Sapphire Alpha will be the last mainline Pokémon game on the 3DS. While I doubt the console is gonna get 2 gens like the DS (which was a really unique case: it was a console with extremely good sales, but also a long life...). I can see them doing another game in 2016, maybe X/Y2 or Z, using the same engine. There's also the Pikachu detective game, for 2015. Though the big mystery remains: when will the 4DS be launched? Late 2015? Early 2016? Late 2016? Will Nintendo avoid a repeat of the DS, and have a mainline Pokémon game available during the first year to boost sales? Just a theory of mine, but I believe they're gonna try to have as many heavy-hitters available during the first year. I'm sure they won't want to release a new gen on the 3DS after the 4DS has launched. I suspect that they are not launching the 2DS in Japan because they'll present a NFC 3DS to be launched with a Pokemon amiibo game next year. The chances of the NFC reader launching a in a bundle seems pretty high. People thought 3DS would get a two analogue revision. It only got the add-on. A NFC add-on is already announced, I think they will use NFC integration as a selling point for Wii U.
Nintendo hasn't given up on the Wii U and they need to show why a higher price gives actual benefits to consumers. SSB and Amiibo really highlight all the arguments that can be made for Wii U's better hardware. 3DS selling more than Wii U isn't a bad thing either, it is the entry level hardware. 3DS amiibo reader is officially stated for a 2015 release. this holiday season they'll try to sell the concept with the Wii U, with Smash. Pokemon ORAS and MH4U will probably be the weapons to push the 3DS this holiday season. I doubt Nintendo will launch a successor early. Right now their resources are focused on WiiU development and there simply doesn´t seem to be enough to support a new system launch for the next 2 years. 3DS ist still among the best selling if not the best selling dedicated videogame system overall and the userbase supports good to high profit margins with software releases. Another point is that they still haven´t launched a new 3DS revision in Japan, and I´m positive that a new "premium" model (at the current XL price) would help extent 3DS lifecycle and let them continue heaving relatively good profit margins with their handheld hardware. Something very important if Nintendo wants to have profitable fiscal years due to WiiUs postion. Only if they scrap the idea of a new 3DS revision the successor could launch a bit earlier in my opinion, but even in this case holiday 2016 would be the earliest possible date due to the allocation of development resources. There really wasn't a reason to include NFC when they were developing the 3DS. 2016 would hardly be "early"... we're talking about an extremely competitive market, with mobile platforms eating away market shares like a hungry wolf among a pack of sleeping sheep. They can't really afford sales to drop too much like they did with the DS (which really hurt, as their financials showed the 3DS didn't gain steam quickly enough to compensate). A new 3DS revision would indeed help extend the 3DS life, but unless it's something as big as the DSlite was for the DS, it won't be enough for Nintendo to stick with the 3DS for two full years. Your point about ressources is spot on... but you're also forgetting it's the very reason Iwata went and merged the handheld/console divisions, and is trying to make it so that porting from one console to the other is much easier than it is nowadays. That being said, if there's something Nintendo's really unpredictable, it's hardware launches. Indeed, and I remember NFC being added very late in the Wii U dev cycle. There's no doubt their next handheld (3DS revision or 4DS) will include it from the get-go. Pokemon X/Y are also significantly behind Ruby and Sapphire. Overall, the fact that 3DS has increased competition from mobile, the relatively light content, and most of all annual releases probably contributed greatest to the decline. Do we have the list of Pokemon games release date so we can see how much time difference between each iteration? I believe it have been released annually for the past four years. The way I interpret Iwata's plans for a unified handheld/console family, and I said this before, I expect the DSU to be backwards compatible or identical to the Wii U and all the accumulated Wii U library by that point to be the launch line up for the next gen handheld. If we look at the problems, we can also see solutions. Nintendo has trouble supporting their current gen hardware and preparing software for the next? Iwata already explained how to solve this. New hardware should be able to play old software. 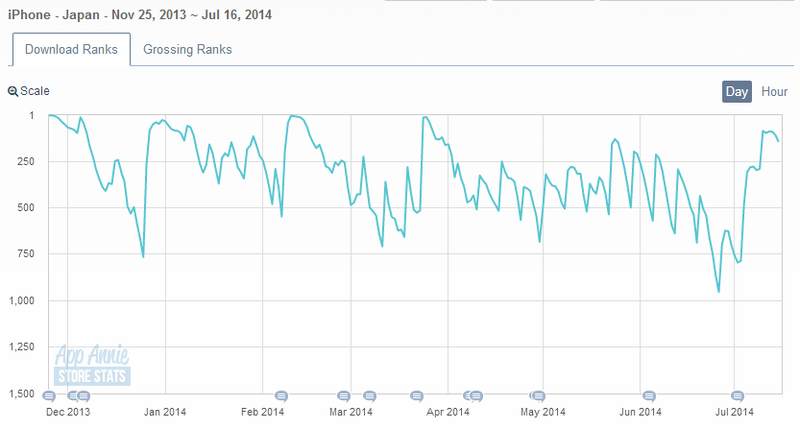 It's also trying to claw its way back from what might be one of the biggest launch failures I've seen since FFXIV. Completely unplayable game, maintenance every single day for like 15 hours a pop, a half star iTunes rating for nearly a quarter of a year. That it's seen any kind of growth at all is close to a miracle. Haha. 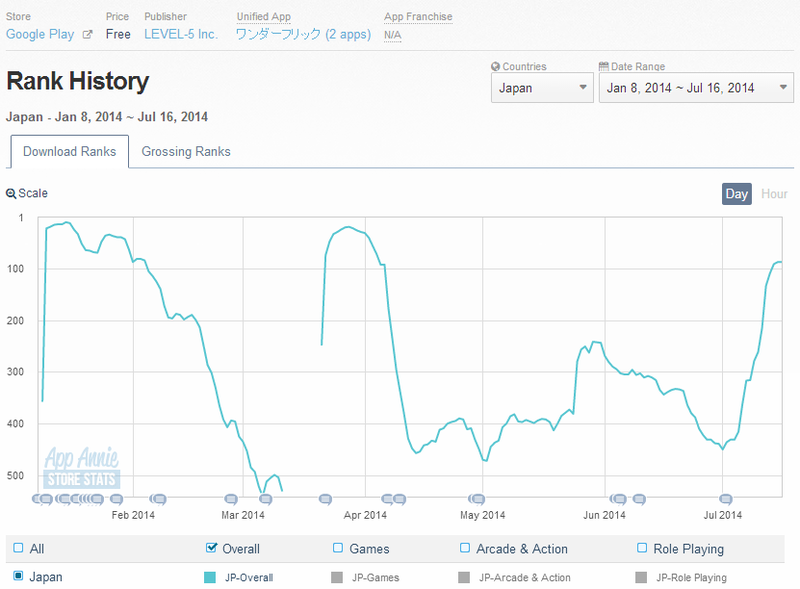 Its Japanese sales are pretty low. Only at 4.1 million and it doesn't have anywhere near the legs as previous titles. X/Y hasn't sold only 4,1m and the original argument wasn't if it will sell worse than previous Pokemon. 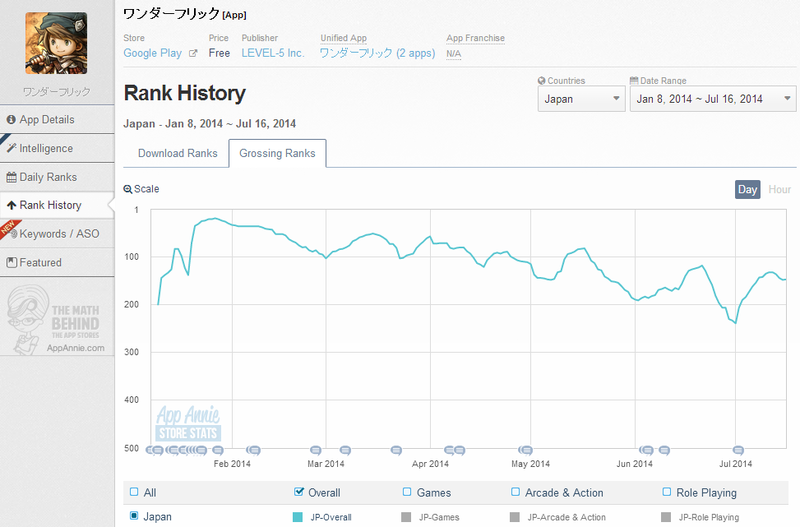 It takes more than a game to show if "pokemon is slowly but surely losing steam in Japan." Persona 4: Golden finally appears in the Famisu top 30.